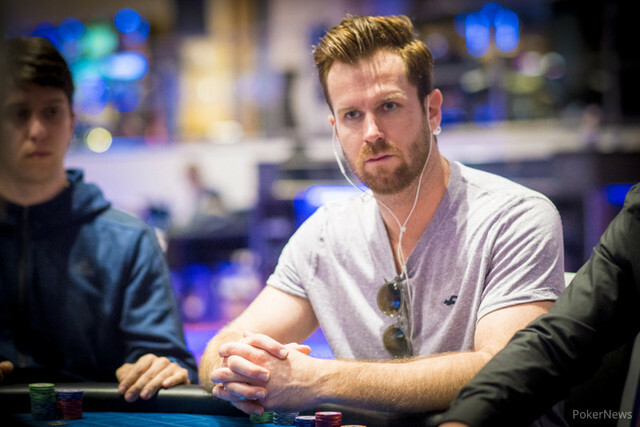 It will come as no surprise to anyone following the action at this year's WSOPE that the WSOP Player of the Year award has officially been won by former Full Tilt co-owner and six time WSOP champion, Chris "Jesus" Ferguson. The news came through via the WSOP twitter feed as Ferguson's only remaining rival for the POY title, John Racener, was eliminated from the WSOPE Main Event yesterday afternoon. John Racener has been eliminated from the WSOPE Main Event, meaning Chris Ferguson is the 2017 WSOP Player of the Year winner. Busted main JJ<10s pre. Fitting for my trip. Chris Ferguson made WSOP 2017 Player of the Year the moment John Racener (above) busted the WSOPE Main Event on Day 2. Ferguson's victory is sure to rankle with many players who feel that he shouldn't be able to compete for such a prestigious honour in poker after he remained silent about his part in the collapse of Full Tilt which almost cost his customers several hundred million dollars in misappropriated player funds. Ferguson will now join the likes of two-time winner Daniel Negreanu, Erick Lindgren, Jeff Madsen, Greg Merson, Frank Kassela, Jeff Lisandro, George Danzer, Mike Gorodinsky, and Jason Mercier as a Player of the Year winner. Alongside Greg Merson, he is the only winner to have also won the Main Event, which he took down in 2000. For his victory Ferguson will receive a free entry into next year's WSOP Main Event as well as a banner of his Jesus-like image on a banner displayed at the Rio alongside his fellow POY winners throughout the WSOP.